This November, Bookmans highlights ways to support local business and give back to the community. Each store hosts free activities to inspire awareness of Arizona-grown non-profits, shops, restaurants and other businesses. It pays to shop local! Statewide non-profit organization, Local First AZ shows that just a 10% shift from chains to locally-owned businesses creates millions in economic activity, add hundreds of new jobs and provide higher wages for workers in our communities. Join Bookmans this month for a veritable cornucopia of fun and local events. From the Bookmans-wide Shop Local Twitter Treasure Hunt to local business fairs, discover how we can build a better Arizona together. Bookmans spreads the word as far as our megaphone allows about keeping commerce in the Copper State. The Shop Local Twitter Treasure Hunt is a collaboration with Local First AZ and a fun way to track down prizes. Check our Events Calendar for a stop near you. You may find a new favorite among the bounty of local organizations gathering at both Bookmans Speedway and Bookmans Grant on November 21 for local business fairs. Local author and performance artist, Moon Mermaid graces Bookmans Mesa on November 14 for her Treasure of Friendship Book Launch and Bookmans Phoenix on November 27 for Blackbeard Friday. Also in Phoenix, the Local First AZ Certified Local Fall Festival brings the best of the Valley of the Sun together in one spot. Bookmans Flagstaff welcomes local holistic health coach Paul Lee for an evening of Holistic Wellness. 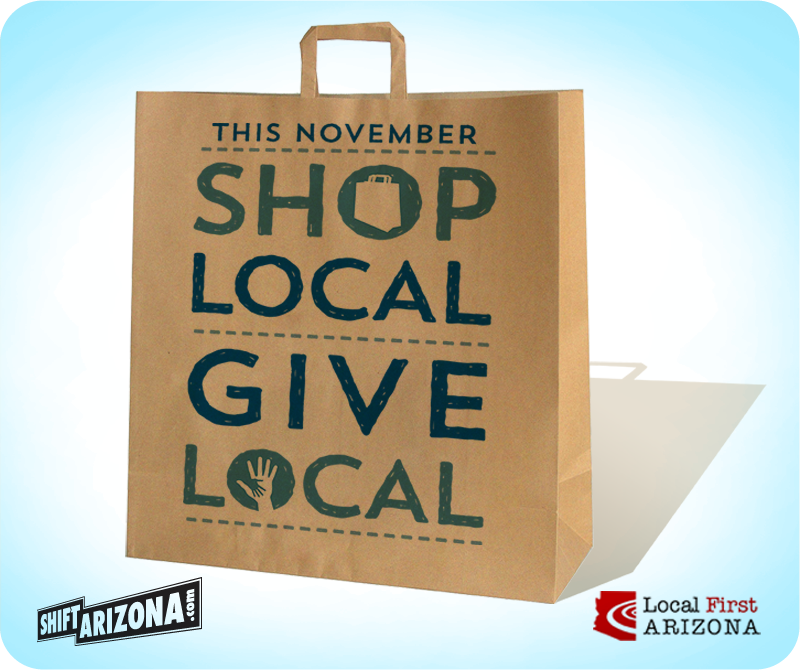 All year long, Bookmans works with our friends at Local First AZ to support the awesomeness of Arizona-owned businesses. Local First AZ strengthens communities and local economies through growing, supporting and celebrating locally owned businesses throughout the state. Working for a common goal, we showcase unique ways to shop local and give local. Check in often with our website for the latest on local, fun and free events happening in your neighborhood.